With over 20 years of experience, Chimney Repair NY provides the best commercial chimney masonry work throughout Manhattan, Brooklyn, Queens, Long Island, Westchester, and Bronx, New York. Call 1-516-279-1513 today to schedule Commercial Chimney Masonry Work service or request a Free Commercial Chimney Masonry Estimate. The chimney structure above the roof line is the most vulnerable section of the chimney being exposed to natural weather conditions (rain, sun, wind, snow) and freeze and thaw cycles. Over time, the masonry and chimney materials will deteriorate and significant problems will occur if the chimney is not maintained normally. Contact a certified chimney expert as soon as you notice any chimney masonry irregularities or defects. If you are uncertain about your chimney's condition, we can help with our professional inspection services to evaluate your chimney and determine the best solutions for you. Call 1-516-279-1513 for chimney masonry service. A properly serviced and maintained chimney will avoid hazardous chimney threats like gas leaks, carbon monoxide poisoning, fire hazards, loose or falling bricks, and collapsing chimneys. 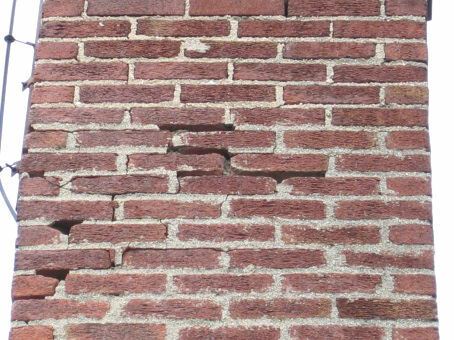 Repairing masonry work sooner than later will guarantee safety and also save you more money in the long run by avoiding bigger and expensive repairs. Call Chimney Repair NY 1-516-279-1513 today to schedule quality chimney masonry work or request a Free Commercial Chimney Masonry Work Quote. Our services are designed to accommodate a wide range of clients including commercial buildings, condos, Co-op buildings, apartment buildings, healthcare offices, hospitals, schools, banks, government buildings, industrial buildings, and commercial offices and we are committed to providing clients with the highest level of quality service.